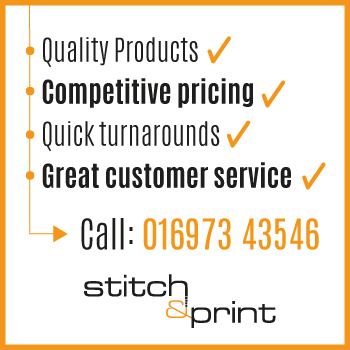 Providing businesses and clubs in Cumbria with embroidered workwear and staff uniforms is Stitch & Print’s mission in life. Whether you need a crisply embroidered smart shirt for your confectionery shop in Carlisle, or you’ve got to have a newly branded uniform package printed fast for the latest Penrith premises in your growing chain, we can supply all your needs. We’re based in the north of the county and provide workwear, uniforms and other clothing across the North of England and beyond! We’ve embroidered schoolwear for primary schools close by in Wigton, supplied embroidered polo shirts to Lakeland charities and created distinctive workwear packages for manufacturing businesses in West Cumbria. Even safety clothing needs to be recognisable as well as visible so that visitors can find the right people on a big site like Sellafield or the Barrow submarine yards – quickly! Our printed hi vis workwear meets the needs of contractors in these environments perfectly.